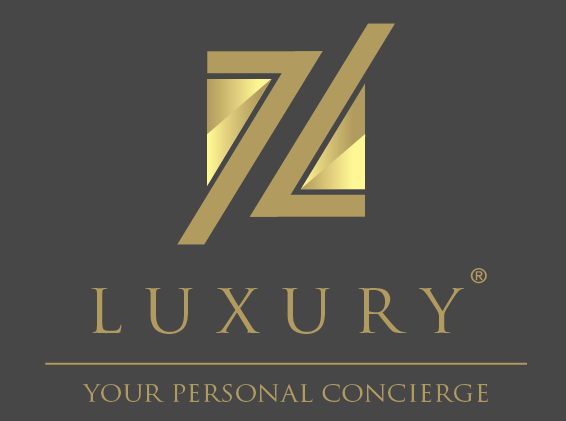 When you seek luxury, they have got you covered. Sit back and soak up the sunshine while enjoying the bed stay at Sheraton Maldives Full Moon Resort and Spa. The perfect Maldivian experience is ensured and no detail will be overlooked in the amenities and the services provided by the resort. The guest rooms will provide the cozy and all warm comfort you can expect on a holiday. Sheraton Maldives Full Moon Resort & spa, the 5 - star beach resort is located in the Furanafushi island, north Male Atoll. It is just 15 - 20 meters away from the Velana International Airport and 1 K.M away from the nearest inhabited island. Sheraton Maldives Full Moon and Spa is a world golden sunshine, fine dining, water sports and entertainment with Maldivian hospitality the island which is just 15 minutes away by boat from Male' Airport. It will feel like home in one of 156 guest rooms and 20 Ocean Pool Villas of the elegant Maldivian resort which is furnished in tropical style with the best amenities. Years of experienced staffs are there to cresting the waves on one of the Maldives best surf sites or to show you the most amazing aquatic Indian Ocean's sights on snorkeling or diving. Also you can have fun on the banana boat or ski tube with everyone or exploring of island's mystical hidden gems on a peaceful canoe trip. Whether you are a beginner or an advanced, they will get you on board in no time. The freshwater pool is framed by a waterfall and a kids pool where everyone can take a dip in this cool crystal clear water in the heart of the resort. Huddling up in the comfy sun lounges with a book and snacks and drinks served poolside at the luxury hotel in Maldives where you wont even have to lift a toe. There is a Tennis court where you can enjoy family and friendly games with the people you love at one of the most delight five star resort in Maldives. They have got everything that need to hold the court. You just have to get ready to take a swing to hit the best shot. To help you perform at you best and gain the energy and the result you need while on the road with Core Performance. From exercising to eating to simply relaxing, Core Performances' idea, tips when and where you need it you will get it. Whether you are looking to put in your personal best or prefer finding strength in numbers, professional equipment, qualified gym instructors and inspiring group classes, all you need to be is a good sport. You can also stick to your training routine or they will customize something new for you. Under the caring supervision of the trained and enthusiastic activities staff of the Maldives family hotel, younger guests ages 4 to 12 will have a ball between playing their favorite games and exploring Maldivian traditions. And you can go ahead and enjoy your own adventures. At the Sheraton Adventure Club, kids connect with local culture through fun lessons, take part in beach games they would not be able to get enough of, join forces with new-found friends in scavenger hunts, and so much more. The dive centre's programs for all ages and abilities brings you on intimate encounters with some of the world's most magnificent marine life,With visibility exceeding 50 meters at times. If it is your first time going under their PADI-certified courses helps you take the plunge. Make new friends with angelfish, barracuda, clown-fish, manta rays, grey reef sharks, parrot-fish, whale sharks and more of the Maldives' unique aquatic characters when you explore more than 40 world-class dive sites minutes from the resort while Maldives diving. Take advantage of the private Club Lounge, where you can connect with friends, meet with your team, or simply relax by catching your favorite TV show. If you need to get some work done, complimentary business center facilities include wired and wireless High Speed Internet Access, a copier/fax/printer, and office supplies are available. The club lounge is 242-square-meter outdoor deck features ample seating, loungers, and a cabana, while the 144-square-meter pool boasts impressive sea views. Club guests enjoy private check-in and checkout at the lounge during operating hours. Club guests who stay at least four nights in the same room class also enjoy return airport transfers. At breakfast/dinner, the passion for food comes to life in this uniquely interactive experience with flavors of every taste, where there is a new one on you way every day at the international theme dinners rotating all week long. Dining in Maldives had never been better. There are exciting kitchen shows with live cooking station, where the years of experienced chefs create an exquisite Feast of dishes from around the world. With a sensational beach-side dining in Sheraton Maldives Full Moon Resort and Spa, where a wide range of light meals influenced from around the region making it more and more fun than ever to have dine by the Indian Ocean. Slip into the breezy casual atmosphere on the sunny sand or relax in the cozy open air hut, where salads, sandwiches, pastas, pizza, and Sri Lankan, Indian and Maldivian cuisine are served with a beautiful ocean views on the side. The finest selection of seafood and meats cooking over dramatic lava stone and charcoal grills from the Al Fresco, the views at Sea Salt are always spectacular. With live cooking stations, the experienced chefs barbecue locally caught fresh fish, lobster and shellfish, prime steaks and imported meats the way you like it and with an ever-changing menu that's always at its freshest and most distinct, appetizing desserts are served in the Sheraton Maldives Full moon Resort and Spa. Some of the finest Thai chefs in the Maldives, recreate the exotic flavors and traditions of their alluring homeland, an irresistible sweet and savory intensity of pleasant citrus tangs and quite unique exciting spices to traditional Thai cuisine. Baan Thai's noodles, rice plates, curries, soups, stir-fries and salads are customized to your taste which are always authentic, whether mild or spicy. The best place for the evening sunset is the Anchorage Bar in the resort where drinks and snacks are available throughout the day while promoting their signature cocktails. You will be entertained by the bartenders performance on mixing magic against a panoramic backdrop of the Indian Ocean. An alluring cigar and whiskey selection displaying perfectly chilled brew beckons before or after dinner, and when it becomes inspiring, cue up the skills at the pool table. Watch teams and players with friends or talk sports with the fan seated next to you at the Maldives sports bar at the classic English pub where large TV screens always have the biggest games on. Hydrate with our nightly happy hour from 06:00 PM to 09:00 PM and enjoy 20% off all beverages. You do not have to go too far to refresh with a chilled drink from the Kakuni Hut. Maldives offers a variety of distractions and while you are at it, you can signature cocktails and sodas to juices and smoothies, stay cool even as you laze in the sunshine. The Kids Pass program is an all-inclusive dining program created specifically for the youngest guests of their Maldives family resort and their parents and they ensure a family and friendly travel experience. Parents must be SPG members - Children of Starwood Preferred Guest member can take advantage of all-inclusive access to children's menus. All the options are available for the whole day. it is just another way for the children and the parents to have a lovely enjoyable meal together. For a physical, mental and spiritual wellness, Shine Spas' signature treatment and massage is the finest massage. with ingredients and techniques influenced by the East to the West with local touches. Experience the Silk Route Collection, where treatments from the Orient, Thailand, India, the Middle East and the Mediterranean are designed to help you find the peace and the balance of mind and body. Drift away to calmness and tranquility in the solitude of the spa pavilion on the private spa island.